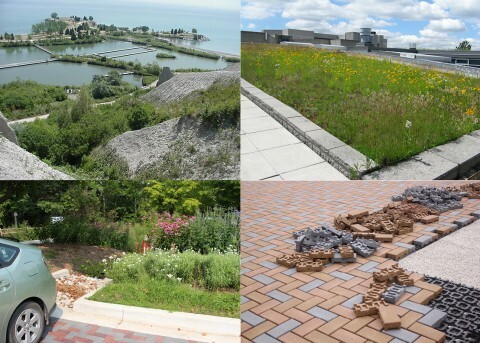 This ongoing project compiles and synthesizes stormwater technology monitoring data collected under the Sustainable Technologies Evaluation Program (2004 – present) and the Stormwater Assessment and Monitoring Performance Program (1995 – 2003), as well as other regional stormwater studies in Ontario. The stormwater practices currently represented in the database include stormwater ponds and wetlands, oil grit separators, and various Low Impact Development practices, such as bioretention, green roofs and permeable pavements. All of these studies were conducted in the Greater Toronto Area. Data summaries provide details on the quantity of runoff volume reduced and the quality of effluent across a range of typical stormwater pollutants. Effluent temperatures are also available for many of the practices. The first phase of this project has focused on summarizing the water quality and temperature data. A Microsoft Access relational database was created for this purpose. The database can be scaled up to accommodate future projects and data can be easily filtered and compared by variables such as sites, site types, time of year and water quality parameter. The database also allows data to be called by external applications, such as statistical software and web applications. An interactive web application will be released soon to provide a platform to view data and facilitate research collaborations. A list of projects and results of the water quality synthesis of stormwater Best Management Practices (BMP) are available for download from the right panel. Water quality data from Ontario studies are compared to data for similar technologies from the US EPA Stormwater BMP database. The data used for these comparisons are, wherever possible, from northern states with climates similar to Ontario.